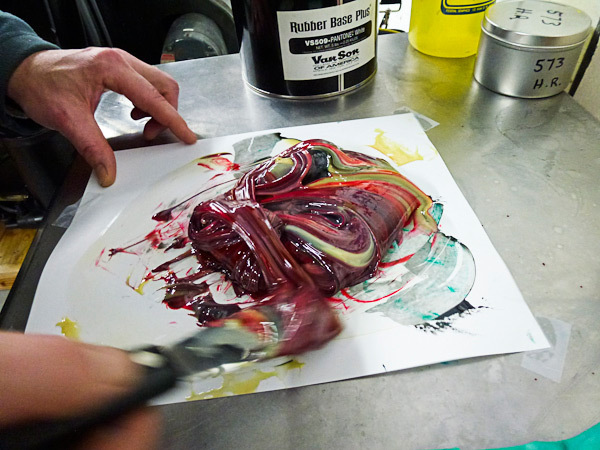 Jeff is mixing a mixing up a custom blend of light pink ink. This entry was posted in Ephemera and tagged Boxcar Press, ink, letterpress print shop by carrie.valenzuela. Bookmark the permalink.